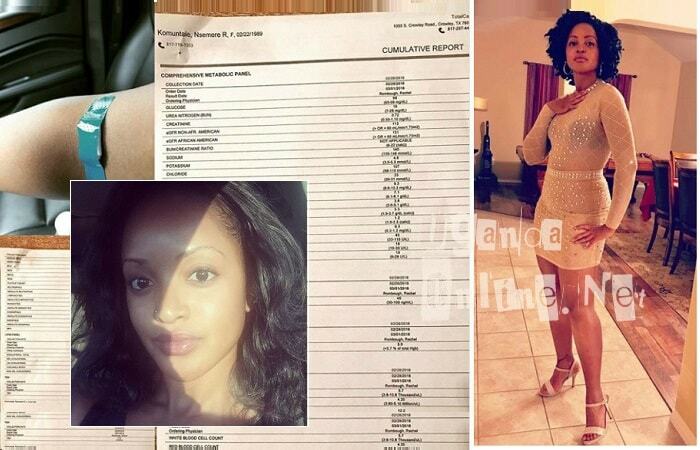 Following the lies that her ex-hubby told a few years back, Princess Ruth Komuntale has come out to reveal that she is in good health as opposed to Christopher Thomas said..
Christopher Thomas, an accountant from Missouri was a commoner who found his way into royalty after he became close friends with Princess Ruth Komuntale after hooking up at an American University in Washington DC, they later held their wedding in Uganda which was covered live on telly. Their wedding was held in November 2012 and after splitting less than a year later, Christopher went on social media revealing all sorts of things, including not sharing a bed over some health conditions, the now dread-locked fellow added that she never loved him, she just wanted settlement papers now that she was completing University, she never wanted to come back to Uganda, he added. Now just yesterday, the Princess has come out almost five years later with receipts revealing that she is not only free from diseases, but in a perfect physical, mental and social well-being. "In 2013 I was bashed by the Ugandan tabloids/media about a lot of things, but worst of all put so called diseases on me etc all with the help of my ex husband Christopher Thomas. I decided to share this very personal information with you to bring to light how media can do anything to tarnish one's image to gain sales (so take everything they say about someone with a grain of salt). I was a victim of that with the help of my estranged ex husband spreading lies about me with the goal to tarnish my image. Yes, I know this is old news, an old wound that healed but awareness is important. I am one proud healthy 29 year old woman." "That guy was silly he lost out on a good woman, Just in case you're still interested in relationships, I am here..I can make you happy if you let me." One wrote. "But as a Princess get someone official, you are beautiful, there should be someone special treating you well." Another added.